A clear alternative. We recently invested in a 3D digital scanner for more a more comfortable and accurate impression. This advanced technology alleviates the need for messy impression material and allows for a better result. A typical Invisalign case takes about a year from start to finish. You'll see Dr. Babushkin or Dr. Austin every month or two to see how you're progressing. 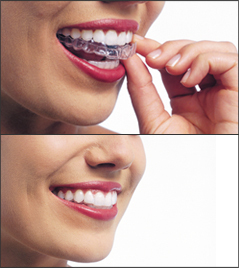 Every few visits you'll be given additional aligners to continue your treatment. Commonly, the number of aligners worn during treatment is between 18 and 30, but treatment time and number of aligners will vary from case to case. 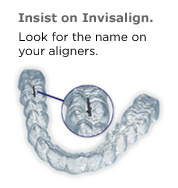 Click HERE for more information on Invisalign®.